Shay Henke has mixed feelings about going to her family's next reunion. On the one hand, she'll get to see everyone in her mama's family---folks she loves unconditionally. On the other hand, she knows there'll be more drama than you can shake a stick at. The days leading up to the event bring one surprise after another. First Shay must deal with her sister-in-law's deep, dark secret. Then she has to contend with the childish ways of her business-mogul twin cousins. And when her high school crush wants to be her date to the reunion . . . well, it may have been a dream come true for Shay's teen self, but the woman she's become doesn't know what to make of this. Shay's contentment is challenged, and she's determined to shake things up a bit. But will she find the excitement she's looking for, or will Shay realize she prefers her quiet and predictable life? One thing is certain: Life with the Bucklin family is never boring. Find out why and sign up for the tour in the sidebar! The cover immediately hooked me and then I read the synopsis. I knew I wanted to give this a chance. As soon as I started to read this, I was not sure how I was going to feel about it. This started off with four different characters points of views which I am just not a huge fan of in stories. However; I loved each characters introduction and found them all relatable. I was so happy I decided to push on, as I ended up loving this. This follows four characters: Shay, Puddin’, Sally, and Missy. Each character is dealing with a different battle. I liked how real each situation really was. I really enjoyed once the characters began to intertwine, and you get to see how they lean on one another for support. The power of family is so important. I live several states away from mine, and this really made me miss them even more. I also loved the humor in this story. I found myself laughing and smiling throughout with the relatability it really does bring. Overall, I really enjoyed this and hope to continue on with the series. 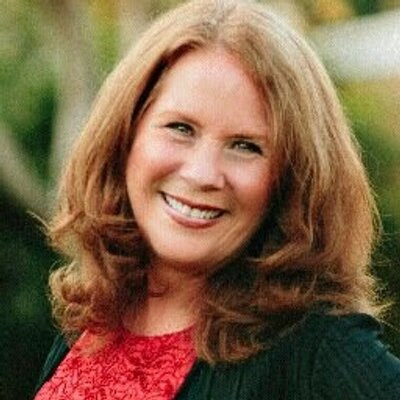 Debby Mayne writes family and faith-based romances, cozy mysteries, and women's fiction and is the author of more than 60 novels and novellas-plus more than 1,000 short stories, articles, and devotions for busy women. Debby is currently an etiquette writer for The Spruce. Debby grew up in a military family, which meant moving every few years throughout her childhood. She was born in Alaska, and she has lived in Mississippi, Tennessee, Oregon, Florida, South Carolina, Hawaii, and Japan. Her parents were both from the Deep South, so Debby enjoys featuring characters with Southern drawls, plenty of down-home cooking, and folks with quirky mannerisms. 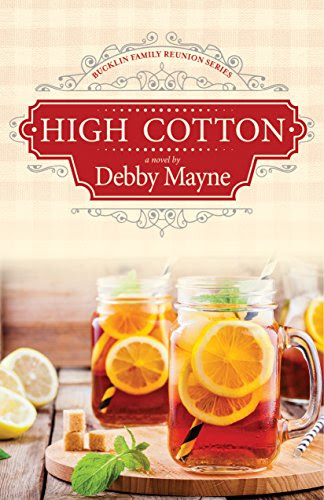 High Cotton is the first book in the Bucklin Family Reunion series.